IPM 2MXI…Where have all the poems gone? That’s what I wrote on the 31st. of January when I inaugurated International Poetry Month 2011 and now, on the 2nd of March I say, with joy, it happened…the exchange of gifts between poets and readers. 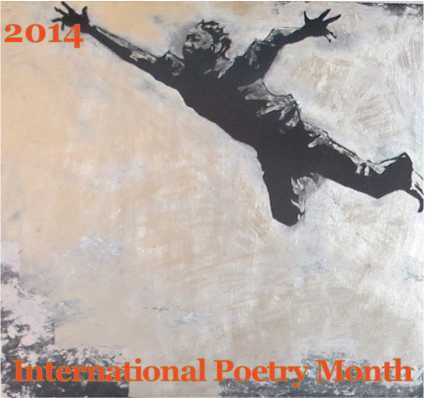 International Poetry Month 2011 is closed. The marauding hordes have left the library ablaze, the flood has washed away the ashes, the caravan carrying the last copy of the precious poetry collection has vanished in the desert; at least that’s what it feels like to me as I hit the delete key and erase the written versions of the poems. What remains is the oral tradition; I have made audio files of each poem available where the poem used to be posted. Anyone who is on my e-mail list has a ‘fragment’ of each work. Perhaps, like the poems of Sappho, this is all that will remain. Some of these poets have blogs or websites where intriguing writing and images may be encountered. I encourage anyone suffering from poetry withdrawal to visit these sites by clicking on any of the names that appear in bold. Others are tantalizingly unavailable, if you want to see more of their work you’ll have to hope that they come back next year. Of course my work that is or has been posted throughout the rest of the year is still here. Thanks as well to everyone who has stopped by to read and comment on the poems either here or at podbean*. It has been a real joy to present so much fine poetry again this year. Now I have to start thinking about next year and get back to writing. *podbean ate my audio! All mp3’s can now be found posted with the poem. ~ by bonniemcclellan on March 2, 2011.